In one of the first photos that humans captured of the Earth, “Apollo 8 Earthrise,” half of a brilliantly blue and white sphere floats solemnly in the distance. In late December 1968, Apollo 8 astronauts captured this photo during their mission which brought humans to the moon for the first time. Americans were literally seeing the Earth in a new light when just over a month later, an estimated three million gallons of petroleum oil spilled into open waters off the coast of Santa Barbara, the Los Angeles Times reported. On a cloudy morning in late January, faulty equipment in one of Union Oil’s oil rig platforms, Platform A, resulted an oil blowout off the coast of Santa Barbara. Oil surged from consequent cracks in five places in the seafloor, releasing 1,000 gallons of oil per hour for a month, according to the Los Angeles Times. In the first days of the historic Santa Barbara Oil Spill on Jan. 28, 1969, locals woke up to discover blackened ocean waters, beached animals covered in black goo and the thick, inescapable smell of oil. For Marc McGinnes, environmental lawyer, former UC Santa Barbara lecturer and author of In Love with Earth: Testimonies and Heartsongs from an Environmental Elder, seeing the “Earthrise” for the first time and hearing news of the spill culminated almost simultaneously in a newfound compassion for the environment and the desire to protect it. Now, 50 years after the spill, the Union Oil catastrophe which led to the death of thousands of marine life animals is known widely as a catalyst of the modern environmental movement. McGinnes, who at the time of the spill was working as a lawyer for a corporate law firm, was one of many who came to Santa Barbara after the spill to be a part of the new wave of environmental awareness. The spill received national coverage as oil smeared the waters of the central coast, spreading along roughly 40 miles of coast, according to Doug McCauley, associate professor of ecology evolution and marine biology at the Marine Science Institute at UCSB. “It was the ‘69 Oil Spill which was the ‘blowout heard around the world,’ so to speak,” John Hankins said, current editor for the Sierra Club’s Condor Call and a UCSB student at the time who helped cover the spill for El Gaucho. El Gaucho was the former name of the Daily Nexus before it was changed in 1970. Hankins worked at El Gaucho first as a staff writer, then as an editor and managing editor. At the time of the spill, the culture at UCSB was ripe with passion, activism and fervor, said Hankins. Students at UCSB were witnessing some of the most pivotal moments in the university’s history, including the Vietnam War protests, the civil rights protests, the unlawful arrests of Black Student Union members and the burning of the Bank of America Bank around a year after the spill. Almost immediately after the start of the spill, students, teachers, activists and community members were galvanizing toward a new cause: the environmental protection movement. The community combined efforts surrounding the spill, not only to mitigate the disastrous effects the spill had on the environment, but also to create long-lasting changes in the way people outside of Santa Barbara remembered the spill. McGinnes worked with community members in Santa Barbara to form the January 28 Committee, a group which, at the time, was organizing a commemoration event for the spill’s one year anniversary. The Committee enlisted the help of Roderick Nash, UCSB professor emeritus of history and environmental studies, to write the Santa Barbara Declaration of Environmental Rights, which they planned to be read at their commemoration event. The document, written by Nash while he was aboard a sailboat, acknowledged humans’ impact of the environment and helped to build a foundation for environmental rights, according to The American Institute for Progressive Democracy. Back on campus, Nash led a group of 20 other professors at UCSB to discuss how students could be educated on not only the scientific but also the social dilemmas that resulted from the spill. Students and professors alike were advocating for change in a system of values that the university reflected – change that would include environmental education as a respected academia. “It wasn’t the chancellor calling for this action. It was coming from the students, the assistant professors, the people of the community who wondered why the campus couldn’t change to address these issues,” Nash said. Their efforts lead to the implementation of an environmental studies department at UCSB, one of the first to appear in the country. The department brought together ideas from a range of academic fields and paved new paths for the discipline as a legitimate field of research and study. “UCSB became a forefront of knowledge and scientific studies and expertise that helped give the environmental movement credibility,” Hankins said. Nash became the first Chair of Environmental Studies in 1970, when the major was first established. The spill represented a major turning point in how local communities and the nation at large thought about and acted toward the environment, McGinnes said. Today, in the water miles off the coast of Santa Barbara, oil rigs still float solemnly in the distance. Half a century after one of the country’s most devastating oil blowouts, they are faint reminders of the 1969 spill, their industrial figures fading into the decades of recovery since then. Correction [1:07 p.m.]: Nash’s full name is Roderick Nash, not Robert Nash, as stated in a previous version of this article. 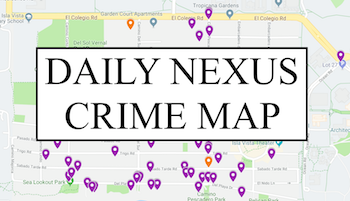 A version of this article appeared on p. 1 of the Jan. 31, 2019 edition of the Daily Nexus. Sofia Mejias-Pascoe is an asst. 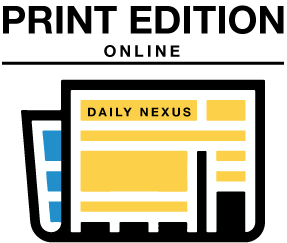 news editor at the Daily Nexus and can be reached at sofiamejias@dailynexus.com or news@daliynexus.com.